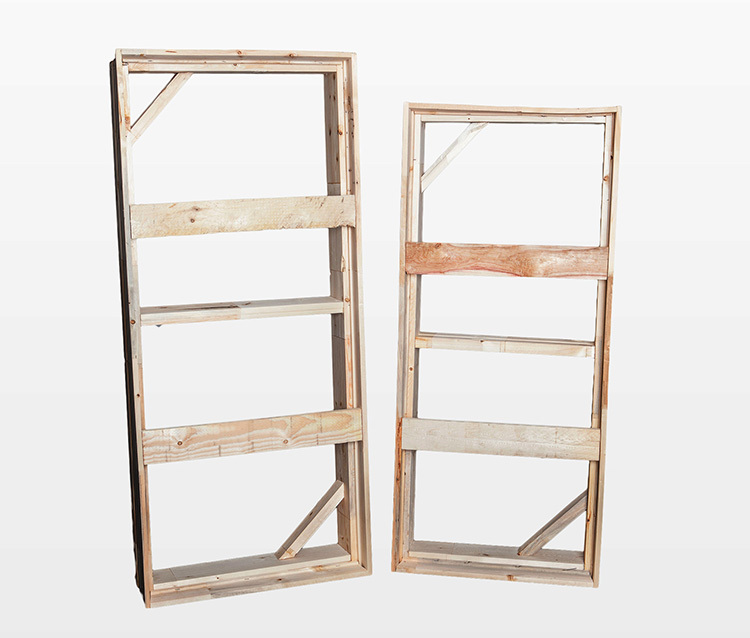 A window buck is a square or rectangular frame¬†that is installed within a concrete foundation or block wall. A window will eventually be installed in this ‘buck’ during the siding stage of construction. Although we provide four sizes commonly used in new home construction, we can manufacture them based on your design specifications. "For the past four years Orion Plastics Inc. has had the pleasure of working with Chrysalis supplying our customers' pallets needs. With the versatility to handle numerous custom sizes, and innovative thinking to provide value-added solutions, Chrysalis' Woods Division has been an invaluable part of our supply chain in meeting our customers' needs. I would not hesitate to recommend Chrysalis to other manufacturers for their custom pallet needs."